Happy New Year Everyone! 2019 is here and it sure is going to be a good one, I just know it! I’m very excited to serve as your 2019 WSH President. For those that do not know me, my name is Emma McLaughlin and I am the daughter of Dale and Jessie McLaughlin from the Northeast Zone. 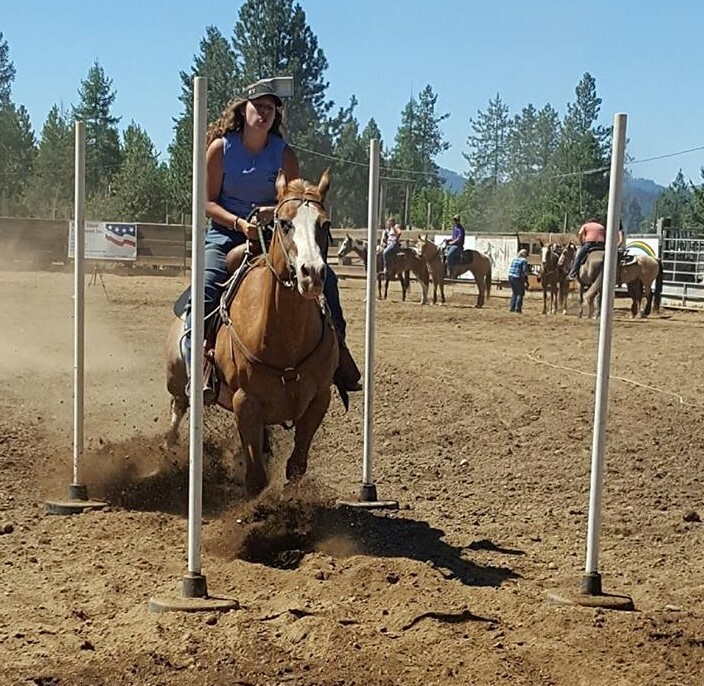 I have been a member since birth riding in the Games Division and most recently, my mount includes a super-cute registered Paint named Truly a Autograph a.k.a. Paisley that I co-own with my grandmother, Sharon Kelsey. I served as the 2017 WSH Queen and in 2018 was asked to oversee the royalty program. I grew up in the Youth Merit program and had the opportunity to deliver speeches from 2006 to 2015, also receiving several high point awards throughout my tenure. I am a music education student at Eastern Washington University after graduating from SFCC this past year. As a reminder…Memberships are due now. Please reach out to your club secretary (if you have not already) to renew your membership. 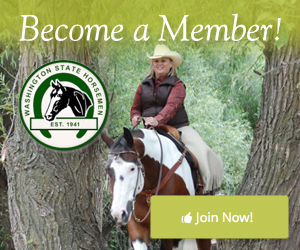 If you are not part of a club, the membership forms for non-club are available on the WSH website. I am excited to be a part of the organization as it grows from 650 members in 2018 to hopefully many more! Plans are in the works for another successful event at the Red Lion in Bellevue, November 8-10. Reservations can be made online by visiting www.redlion.com/bellevue and using WASH1108 as your code or by calling 844-248-7467 and mentioning that you are with Washington State Horsemen. This year’s event is being coordinated by Loris Gies and her West Side team members. At this time we’d like to express our thanks to our fantastic West Side Members and the wonderful work they put into making the 2018 WSH Convention a hit with those that attended. We’re thrilled to return in 2019 (especially now that we know where the great restaurants are). If you have ideas for Convention, please don’t be afraid to share them with us! As this year unfolds, I am excited to be a part of an organization that is morphing and shaping into a user-friendly, multi-discipline, open-to-all-ages “family”. I would encourage you to invite your friends and neighbors to join in the fun so that we can grow our numbers .